We are reopening the beloved pottery program that was once run by the City of Virginia Beach! ​Our fully equipped pottery studio will allow you to explore your creativity with this lovely hands-on medium. Skilled instructors will take students of any ability to the next level. Clay is a wonderful medium that marries hands-on sculpture with color and painting. Learn how to throw clay on the wheel and how to hand-build. Classes will be offered for every skill level. Classes are now open for registration. Click below and choose the WINTER SEASON. You can filter the class list by selecting "pottery" in the left sidebar of the desired season. 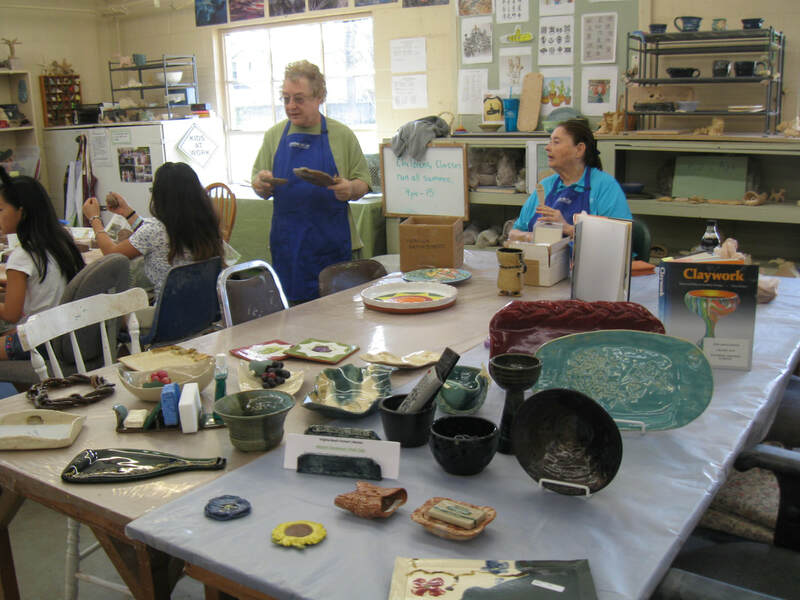 Experienced potters are invited to use our equipment and kilns for independent projects. Open studio time can be purchased as a "class," but truly, you are on your own! This is coming in the spring season of 2019. Everyone who uses the pottery studio must read and verify that they understand and agree to abide by the pottery policies and procedures. The Handbook is available below. Please download the handbook. The final page should be signed and submitted when you attend a class or open studio. We have a wide array of equipment and tools and fire in mid-range (cone 5/6).